iRealHousewives | The 411 On American + International Real Housewives: Past And Current Real Housewives Stars Step Up To Help Hurricane Harvey Victims! Past And Current Real Housewives Stars Step Up To Help Hurricane Harvey Victims! In the wake of the devastation left by Hurricane Harvey, celebrities have stepped up to help those affected by the natural disaster, including many Real Housewives stars. On Tuesday, Bethenny Frankel shared that she would be donating to victims of Hurricane Harvey through her B Strong charity. She also put out a call to others to help, and they responded. In one day, The Real Housewives of New York City star raised $50,000. And she has no plans on slowing down. "We hope to raise even more tomorrow & every day to help all women affected by #Harvey," she added. Frankel's RHONY co-star Tinsley Mortimer has since pledged money to Bethenny's charity, donating a whopping $10K. Meanwhile, Real Housewives of Atlanta star Kandi Burruss pledged $10,000 to a fund started by Kevin Hart, which "enables the Red Cross to prepare for, respond to and help people recover from this disaster," according to an official statement. Kandi added on Instagram, "Let's not just pray for Houston but actually do something & donate. No matter how much it may be, all donations help. My heart goes out to Houston!" Even Real Housewives executive producer and host of Love Connection and Watch What Happens Live, Andy Cohen shared on Twitter that he has given to several charities to help people and animals affected by the storm, and noted to his followers that "plenty of local charities need our support!" Going to give to th RedCross this am, also want to donate to some Texas Animal Rescue Orgs - anyone have suggestion? Thanks for your suggestions. I chose Hurricane Harvey Relief Fund & Houston Humane Society. Plenty of local charities need our support! Heather Dubrow noted that she was doing her part by "sending prayers and money to Texas." Sending prayers and money to Texas. You can help those affected by #HurricaneHarvey. Visit redcross.org, call 1-800-RED CROSS or text HARVEY to 90999 to make a $10 donation. 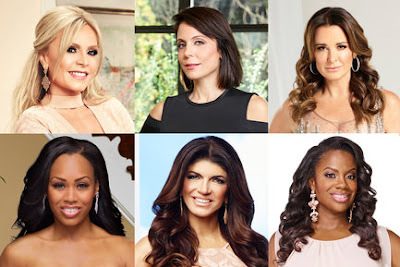 Other past and present Real Housewives sent their support on social media. Anything WE can do to make a difference. @a.earwood.bancroft thank u for texting to me. Love you. Text HARVEY TO 90999 to make a $10 donation. My thoughts and prayers are with everyone impacted by this! prayers 🙏 for Texas #Repost @stephhollman (@get_repost) ・・・ Praying for everyone down south affected by #HurricaneHarvey ❤️ Visit redcross.org, call 1-800-RED CROSS or text HARVEY to 90999 to make a $10 donation. Meanwhile, The Real Housewives of Orange County Season 12 cast decided to put their issues aside and united together to help those affected by Hurricane Harvey. Kelly Dodd, Meghan King Edmonds, Shannon Beador, Vicki Gunvalson, Peggy Sulahian, Tamra Judge and Lydia McLaughlin filmed a touching video in which they asked their social media followers to follow their lead and donate to the Red Cross in an effort to help those dealing with the aftermath of the devastating storm. "Let's be real, we may not always agree on everything, but we can all agree on one thing. Please go to the American Red Cross and donate for Hurricane Harvey. We've donated to the American Red Cross, and we encourage you to do the same in whatever way you can," the RHOC ladies shared in the clip above. "You can find the link in our bios. Please, do whatever you can. Thank you." You can also help by donating online or find locations where to donate blood, supplies etc visit the official American Red Cross website HERE!